What's more important: overall pixel count, or the density of those pixels? 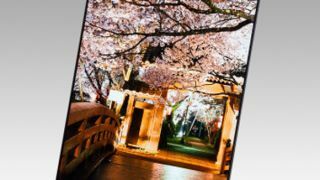 It's a relevant question, as today Japan Display Inc. unveiled a 5.4-inch 1440 x 2560 display with a pixel density of 543 pixels per inch. This announcement came just one day after JDI, a conflagration of Japanese tech companies, revealed what may be the world's smallest 4K screen, a 12.1-inch display with a pixel density of 365ppi. The 4K screen has a higher resolution but lower ppi, while the opposite is true for the smaller display. Both announcements came out of Japan's FPD International 2013 expo this week. The displays are undoubtedly impressive, but the high density smartphone-sized screen announced today probably has a better chance of actually making it onto devices any time soon. JDI actually unveiled two displays: a 5.4-inch 1440 x 2560 TFT LCD panel with a density of 543ppi, and a 6.2-inch version with the same resolution. However, the 6.2-inch display naturally has a lower, but still impressive, pixel density of 473ppi thanks it its larger size. JDI called the 5.4-inch version the highest-density smartphone-sized display in the world. Like the 4K display unveiled yesterday, the two smaller screens use JDI's low temperature poly silicon technology to keep power consumption low and thus reduce size requirements. So the new displays could potentially be used in slim smartphones with impressively small bezels. Don't be surprised if these high-ppi displays start showing up in Sony phones at some point, since Sony is one of the partners in Japan Display Inc.
Is 4K the new 3D, only good for movies and gaming?